Elizabeth "Libby" McDonnell is an Associate in the Galveston office. Her practice focuses on civil litigation, including commercial and civil disputes, admiralty, personal injury, construction, and insurance law. She is licensed in both Texas and Florida. Born in Houston, Texas, Libby received her undergraduate degree from the University of Georgia where she majored in Business and French. 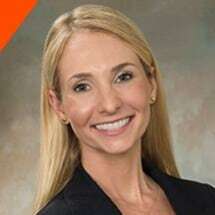 She obtained her law degree from the University of Miami, and prior to joining Mills Shirley, Libby was a practicing litigation attorney in Miami, Florida. During law school, she was a member and editor of the Inter-American Law Review where she received awards for the best student publication and the most outstanding Articles and Comments Editor. She also was a judicial intern for the Honorable Edwin Torres in the United States District Court for the Southern District of Florida.